Introduced for Cruise 2019, this new chain wallet is crafted from smooth nappa leather with a hand-woven bottom and sides. The design features an intrecciato engraved fastener and a removable shoulder strap, both in a dark-gold finish. It is fitted with an external pocket, and two internal compartments with six card slots and a zip coin purse. 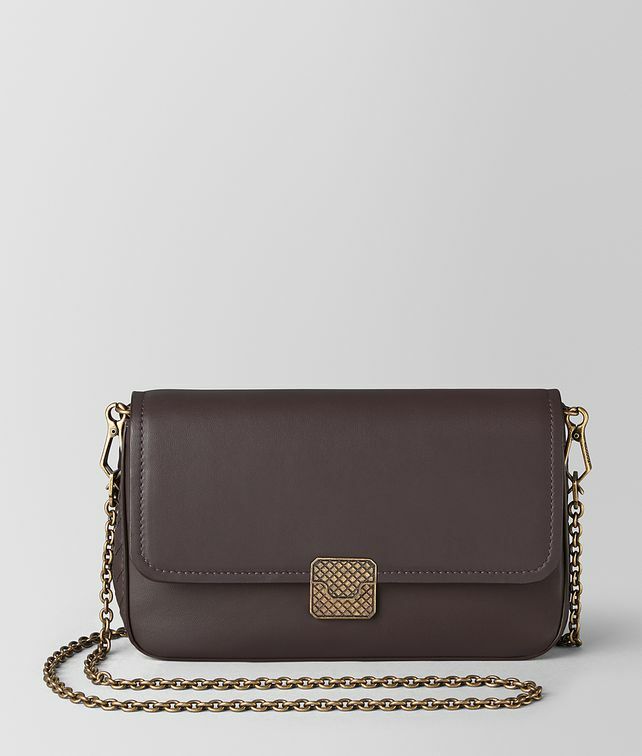 The versatile style can be worn cross-body, carried as a clutch or stored inside a bag. Height: 12.5 cm | 5"